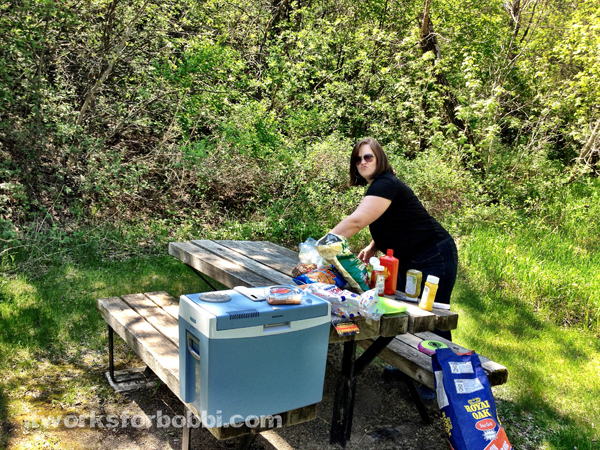 Camping Tips and Free Camping Meal Planning Download – It Works For Bobbi! Published on May 22, 2012 March 23, 2017 by Bobbi-Jo G.
Hi there, friends!! I’m a camper. Okay, I guess I would call myself an amateur camper. I grew up camping, but when you are a kid, you aren’t responsible for the packing or planning – you are responsible for getting the way, eating all of the food, creating all of the laughter, and enjoying yourself to no end 🙂 Now that I’m an adult (and a parent), I get to see the other side of camping – the work and planning – so that I can enjoy the rest with everyone else 🙂 Let me tell you, I have a whole new appreciation for all of the work my mother and father put in to our camping trips growing up. 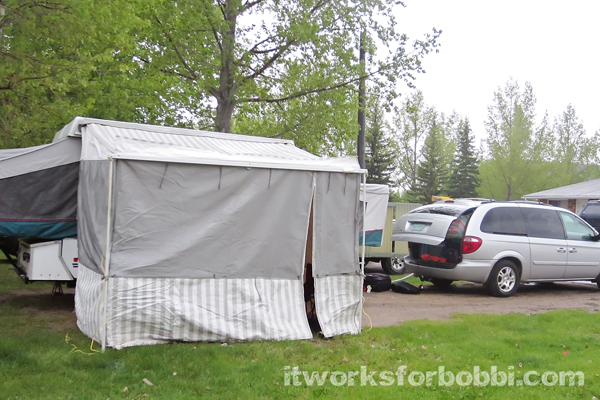 So, here are a few tips I have picked up – as an amateur camper. If you are new to this, then maybe you can benefit a bit from this post, a little 🙂 And hey, maybe if you are experienced, you can add to the list in the comments! Let’s help each other out, okay? 1. Find out everything you can about the campground amenities. The goal here is no surprises (or very few, at least). We found out the hard way (i.e. by just showing up) that our campground did not have any fire pits! I mean,…WHA?? 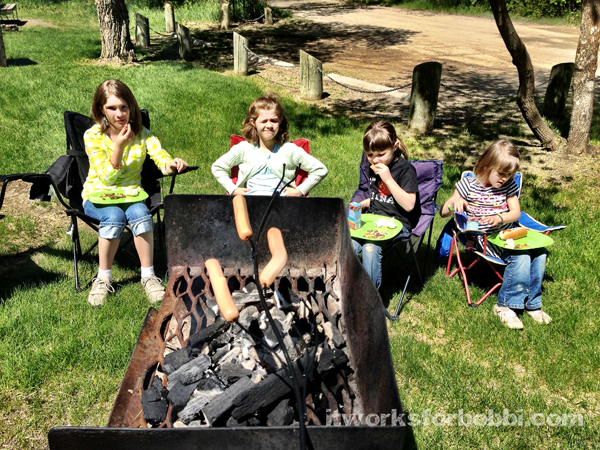 I was lucky that I hadn’t planned any meals around a campfire (except for hotdogs, but we ended up driving to a nearby park to roast those). Are there firepits at each site? Is there a fire ban? What hook ups are there? Does each site have a picnic table? I know some of these seem obvious, but it’s always better to be informed before you get there, right? 2. Plan to arrive in plenty of time to set up while it’s light outside! Enough said. Packing tips. Now, remember, what you need will depend on what type of camping trip you’re planning. If you’re driving to a campsite with an RV, for example, you can take whatever your vehicle and camper will hold. If you’re backpacking into your camp, however, you’ll have to limit the weight and volume of your gear. We were camping in a tent trailer, so keep that in mind when I give these tips. 3. Pack activities for the kids. Yes, you are in nature. The assumption is that the kids will just have fun playing outside. Well, they do, but not every minute of every day. 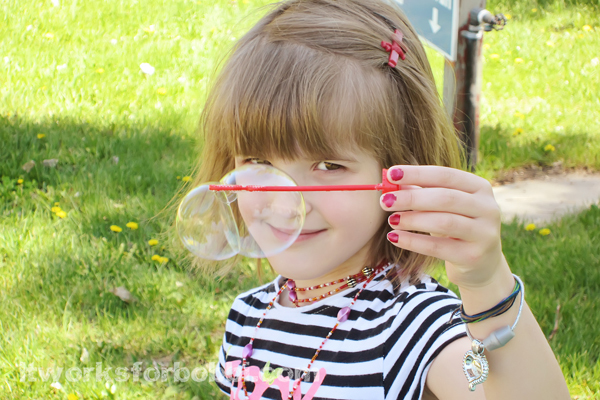 We packed some simple dollar store games and activities that were life savers on our trip. Biggest hits? tarp – has too many uses to list! Okay, I could go on, but you get the idea. Pack everything and anything you think you will need. You will figure out, after camping a few times, what you actually use and what you won’t. Remember to pack seasonings, sugar, and cooking spray or butter for cooking in the pans. Important! Pre-cook as much as you canto save you time while camping. Plan to use the perishable items earlier in the trip, and save the nonpersihable foods for the last day or two. Okay, there is a LOT more to consider when planning a camping trip, but I hope this is a good start. 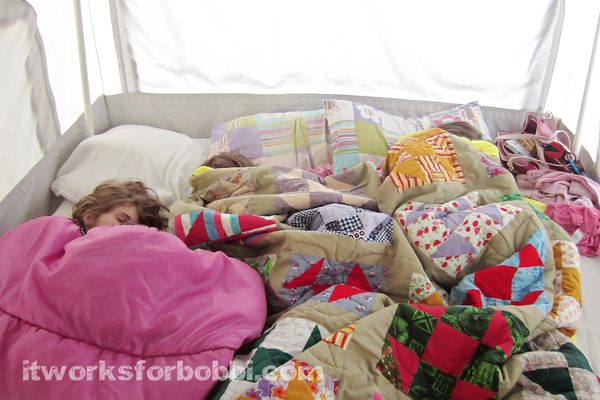 If you have any camping tips to add, please join in the conversation and leave a comment! We ended up having an amazing time with each other and we can NOT wait to do it all over again in July. YAY! Next Personalized All About Dad Book! As a camper for 43 years, you did a very nice job of making a list of the essentials! Camping was our only vacation type when I was young. We've got littles and are ready to start “glamping” with first trip being in a YURT. Thanks for your tips these are helpful. Happy Trails! I just wanted to let you know that I can't wait to use this planner this weekend and several times this camping season. Thank you for the info.